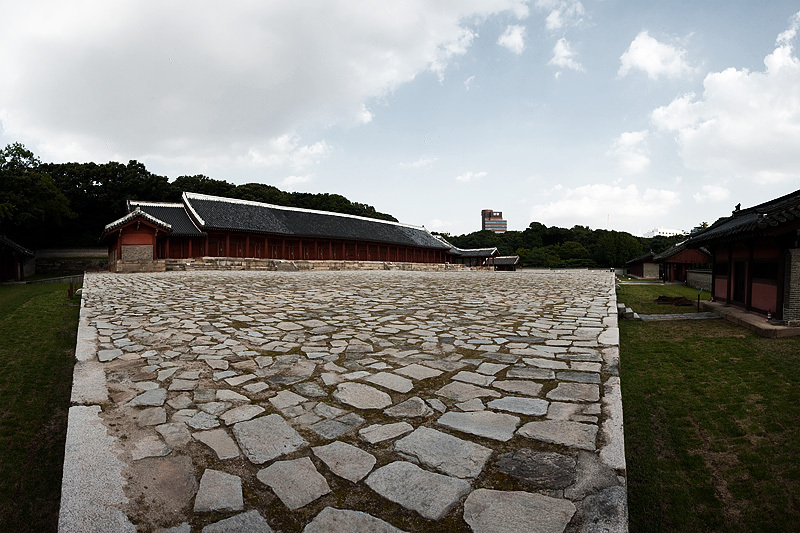 The main hall and courtyard at Jongmyo, the royal ancestral shrine for past ruling monarchs of Korea. 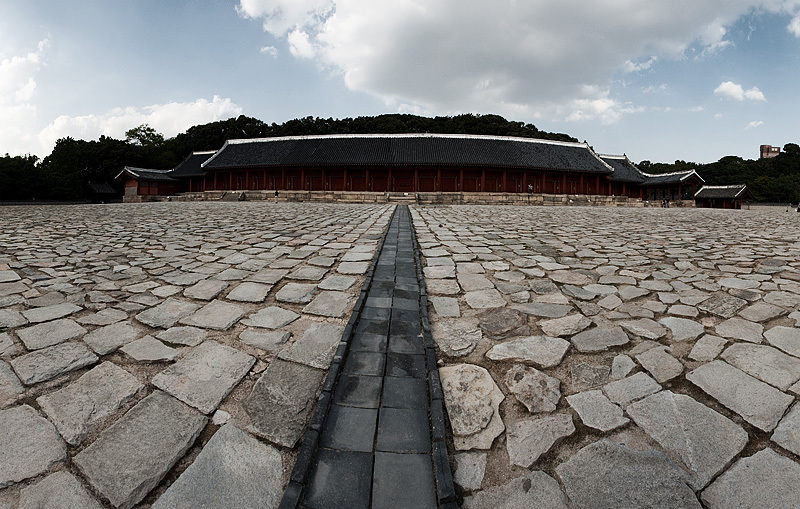 The Jongmyo shrine was listed as a World Heritage site in 1995. Most countries use that UNESCO distinction as an excuse to hike up admissions (read: China) and set up a virtual circus outside the main gates (read: China, again). 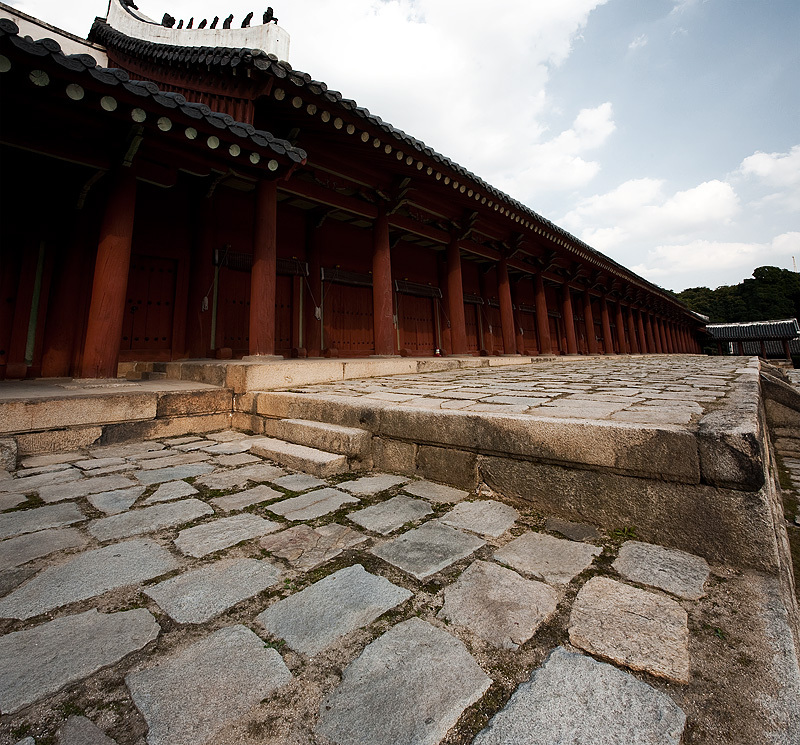 However, at today's exchange rate, admission to Jongmyo costs a measly $0.80. A round of applause to the powers that be in Korean tourism for maintaining an uninflated admission price. Each door encloses a royal spirit tablet. At this point, I'm merely summarizing the literature I received with the price of admission. Yeah, for $0.80, they even include free written guides in one of many languages. A corner panorama of the main hall. 6 portrait photos comprise this panorama. I'm not so sure it came out to my liking. Frankly it would've looked better had the corner (that I'm standing on while taking the photo) actually been included in the panorama. But to accomplish such a feat, I'd have to flagrantly bend the laws of physics, a task which I tend to reserve for weddings and bar mitvahs.